Former undefeated five-division world champion boxer Floyd Mayweather has plenty of time on his hands now that he’s hung up his gloves. The American is frequently posting on social media and this time has revealed to fans the stunning setting on ‘one’ of his private estates. 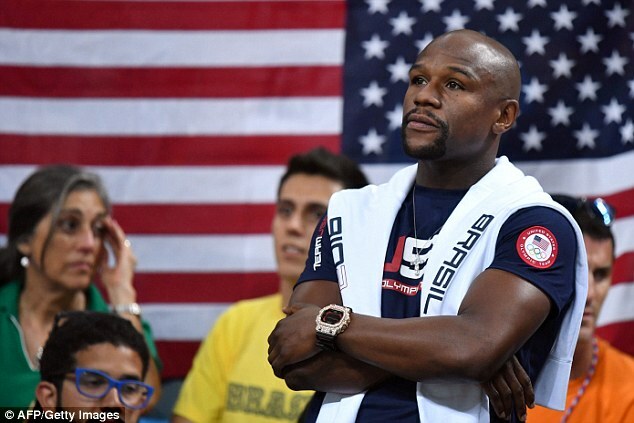 Mayweather, who retired from the ring in September 2015, has been persistently been linked with a blockbuster bout facing UFC star Conor McGregor but revealed those talks failed to materialise. 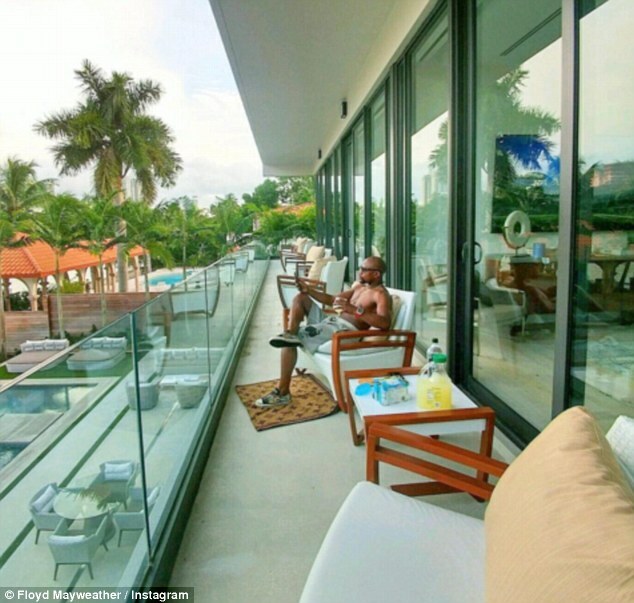 His latest Instagram post pictured the ‘Money Man’ relaxing in lavish surroundings and he told his followers, ‘At one of my private estates; sitting back, thinking how it’s one thing to get there and make it, but the question is… can you maintain it? 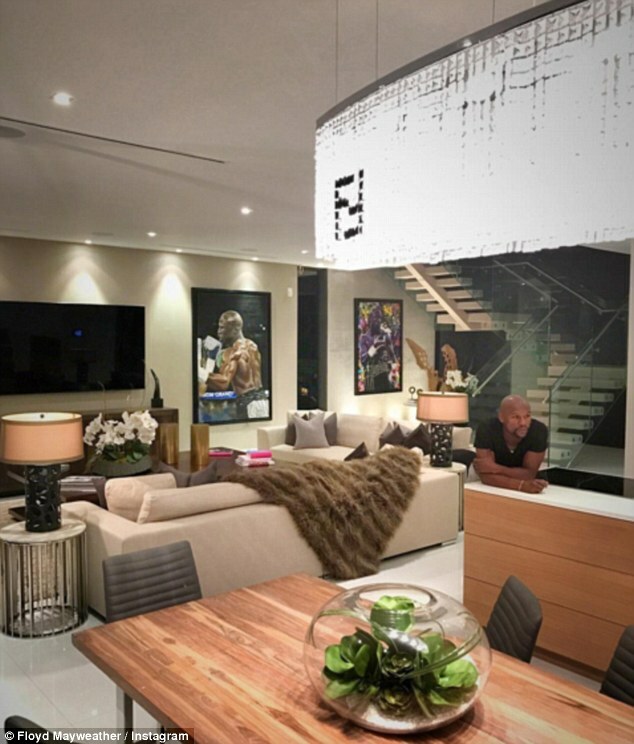 Could this display of his vast wealth be a jibe back at McGregor who last month said he was interested in fighting Mayweather as long as he could come up with the appropriate funds for the crossover fight. 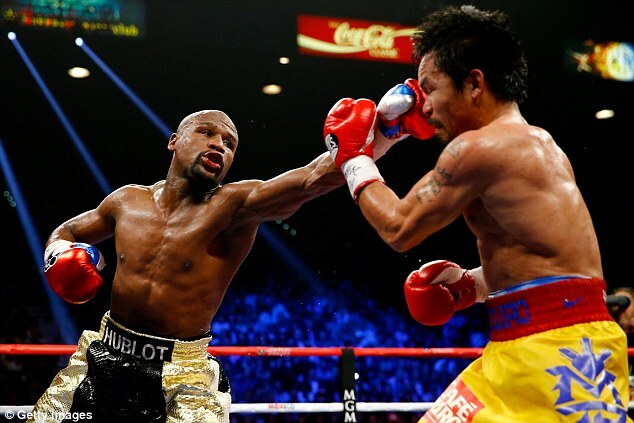 ‘Right now, I have Floyd running around the Showtime [Network] offices gathering my money. That’s what he’s doing,’ the Irishman said.